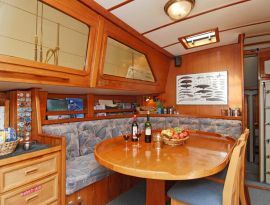 The Island Roamer is a custom 68-foot ketch, launched in 1983. 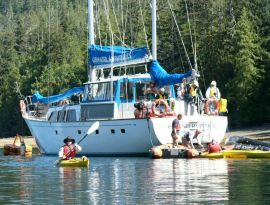 The boats design, safety and comfort make her perfect for these trips. 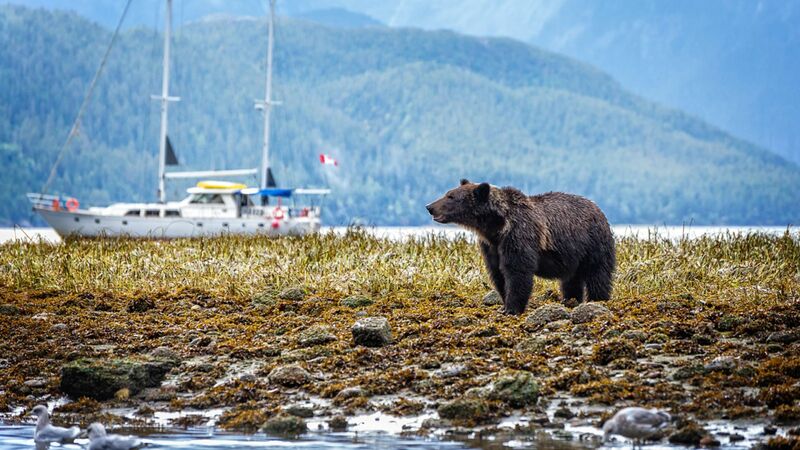 She features 8 private cabins (double occupancy), 3 heads with hot showers, a large comfortable lounge with an extensive library, and a well-equipped galley. On deck, the large covered seating area provides protection in all types of weather. 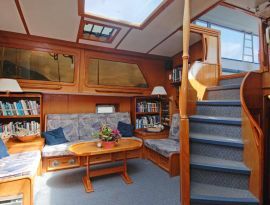 The Island Roamer is large enough for comfort, privacy and safety, and small enough to create a good rapport among passengers and crew. 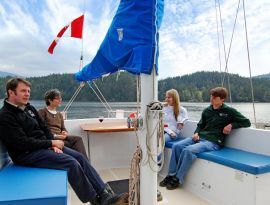 A certified Canadian Ministry of Transport passenger vessel, Island Roamer has all of the safety equipment, electronic navigation aids, and features you would expect from a vessel of her standard. 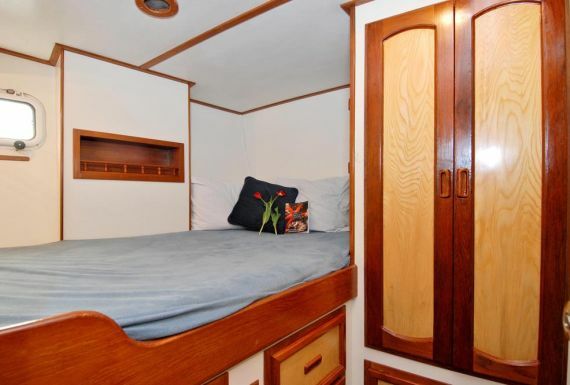 All of our cabins have adequate storage space for your bags, personal items and jackets. 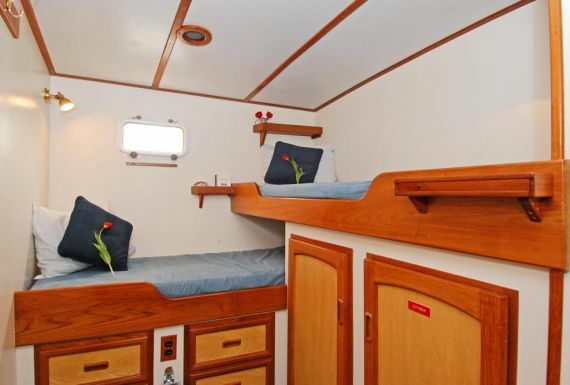 Coat hangers and life jackets are stowed in every cabin for your convenience. There is electricity in each room, so you can charge your camera batteries and enjoy a reading light as you relax in the evening. We have 8 private cabins, based on double occupancy. At the time of booking, you may request a type of cabin you would like - single berths or if you and your travelling partner prefer, a double berth cabin. Single travellers do not have the choice of the double berth cabin. Specific room bookings are up to the crew once you have arrived onboard the vessel.